The single biggest night for advertising is right around the corner. Super Bowl XLIX kicks of Sunday, February 1st at the University of Phoenix Stadium in Glendale, Arizona. Each year, the Super Bowl breaks its own viewership record as the most-watched television program in history. It is also one of the only television events where many viewers actually tune in just for the over-the-top commercials. Last year, the Super Bowl telecast drew 111.5 million viewers. In 2013, it drew 111.3 million. We have yet to see how many people tune in this year, but it is safe to say that advertisers know the worth of investing in Super Bowl advertising. That being said, not every brand can afford to advertise at the Super Bowl. How Expensive Is A TV Spot During The Super Bowl? A 30-second TV spot during Sunday night football will easily cost your brand upwards of a half million dollars. Yes, we said million. Multiply that number by eight and you are pretty close to Super Bowl pricing. But don’t run for the hills just yet. There are cost-effective ways to reach the Super Bowl audience without breaking the bank. We all already know that television ads during Super Bowl boast extensive reach. But what many potential advertisers don’t realize is TV ads aren’t the only way to capture a large portion of the Super Bowl audience. 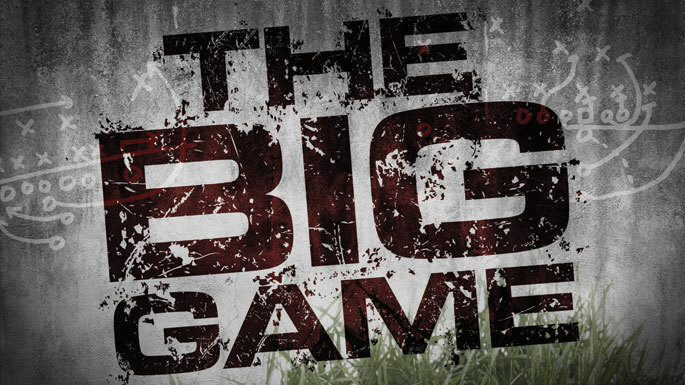 The week before the big game is the perfect time to draw attention to your brand. Each year, sports fans, athletes, celebrities, and high net worth individuals travel to the city that's hosting the game. In fact, Super Bowl week has become a hot spot for millions of people looking to take part in the pre-game frenzy. In less than a month, parties and gatherings of all types will be taking place all over Phoenix. The predictable locations and times of these events present a valuable opportunity to brands looking to get noticed in a unique, groundbreaking way. So, how can your brand rise above the clutter and get noticed for a fraction of the price? It’s time to think outside the box with aerial advertising. 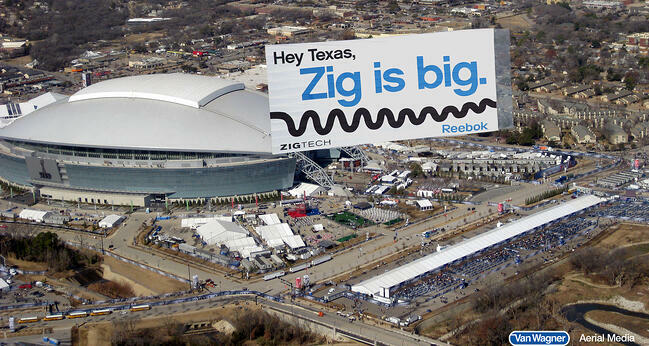 There is no better way to get the attention of a crowd than aerial advertising. It’s human nature to look up when we hear a plane flying overhead. With aerial advertising, your airplane banner, sky writing message, or blimp is bound to attract the attention you desire. At Van Wagner Aerial Media, we can help you pick your creative, banner size, and which events to fly. With the right type of message, your aerial ad could go viral on social media extending impressions to people all over the United States and the world. It’s easy to get started. Just click on the free quote button below for a risk-free assessment. How Do I Decide Which Events To Fly?